Is there a canine dope test? Because this little doggy might need to take one. This is Gabby the papillon dog who is less an animal and more a blur. 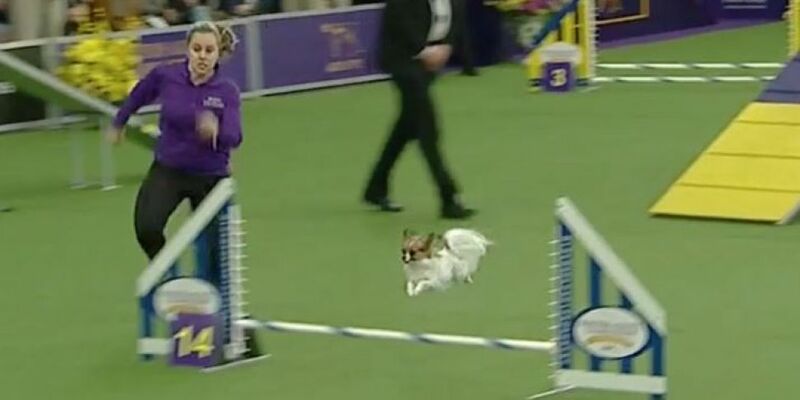 She competed recently in a dog competition in New York and blew everyone away with her agility and speed. And just look at him at the end!! !